Thank you all for your kind tweets and comments on yesterday's post - you're all just validating the awesomeness of the internet! So, in honor of the blog anniversary, it's time to host a most fitting giveaway. Oiselle has graciously offered to giveaway one Start Line Tee (if you've not tried the famous 50/50 tees, now is the time) AND a Green Lake Hoodie to one lucky winner! Follow Oiselle on Twitter so that you can be in the know on fabulous deals and other giveaways! I'll announce the winner (using random.org) on Wednesday, April 3rd. This Giveaway is Closed - Hopefully I'll do another Oiselle one soon! My farthest race distance? A marathon (though mine ended up cut short at 24.3 - that's a whole story of its own). I already follow you on the Twitter. And I follow Oiselle on Twitter so I can drool over their clothes and wonder if I'll ever get any for myself. Love Oiselle! The farthest I've run is a marathon! I follow Oiselle on twitter too. I've run a half marathon in real life and a marathon in my dreams. I did my first 13.1 last month! Just started running 7 months ago! Following Oiselle on Twitter too! my furthest is a half marathon! furthest = a 10k. not so far! buuut, i'm signed up for a half marathon in 5 weeks, eeeeeek!!! Oh, almost forgot my longest race distance so far, Half marathon. Some day I'd like to try a half ironman triathlon. Already following Oiselle on twitter! I did my first 26.2 last September! Just followed you and Oiselle on Twitter, and retreated! My furthest race so far has been the half marathon! Someday I would like to run a full marathon! Half-marathon! But I'm registered to run my first full Jan 2013! And I follow oiselle on twitter! Marathon is my longest right now, but hoping to make it Ultra this year! Ooh, super fun giveaway!! My longest distance raced was the marathon. I follow Oiselle as well. My farthest race distance is 26.2 (35 times!). I already followed Oiselle on twitter. The farthest I've raced is a 10K, but I hope to do a half marathon this year! My farthest race has only been 5K's, but I'm training for my first 1/2! I've run three half-marathons so far; training for a full this fall! The farthest distance I've raced is 26.5... The Route 66 Marathon has an extra .3 detour that you can take to earn an extra piece of bling. I'm also following Oiselle on Twitter. The furthest I've RACED is 13.1 miles but I've done a training run of 23 miles - I wish that counted for something! I already follow Oiselle on TWITTER! My longest race distance so far is a marathon. My longest race is the marathon, and my craziest was the goofy challenge. The furthest I have raced is a marathon. Considering something longer. Super cute! My longest race distance is 13.1! I've raced a marathon twice! NYC and faux NYC '12 aka Philly. I've done 2 half marathons, about to do my 3rd next week. I follow Oiselle (@TheHappyRunner) on twitter. And I follow Oiselle on Twitter. And finally, I tweeted your giveaway. Well I'm already following you and Oiselle, so I guess I'll just say that the furthest I've raced is a full marathon :) Happy blog-anniversary! The farthest I've raced is 26.2, but would love to go ultra one day! I follow Oiselle on Twitter too! I RT'd your Twitter giveaway announcement! Also followed Oiselle on Twitter...how was I not following already? Furthest distance I've raced is 13.1...thrice, with one more coming up (Brooklyn Half). This October I'll be tackling my first 26.2 in Chicago! I ran a marathon a year and a half ago; now training for a 50K! And my farthest distance raced - 26.2! My farthest distance was the 2012 Seattle Half Marathon and I can't wait to do it again this year! Look at all these entries!!! Whoa! Back up people, the purple hoodie is mine! Oh and I've run a 10k (Bridal Trails) and run/walked a half marathon (Whidbey Is, Ok Ok mostly walked I was crazy sore the next couple days so I vote it counts). Farthest I've raced was an 8k in high school. But now I'm training for the Rock and Roll half marathon in Seattle! I have never tried Oiselle and really really want to!! My furthest race distance is 26.2 baby! My furthest race is 13.1! The furthest I've raced is 26.2. My longest race has been a half marathon. And I tweeted. 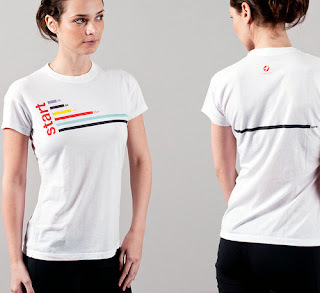 Love these Oiselle garments. I have run a marathon, and LOVED it. I love Oiselle! Thanks for the giveaway & you're a lucky gal! The farthest I've raced is 13.1 but I'm in training for 26.2 right now! Already follow Oiselle on twitter! Tweeting and Following! My longest race is a marathon. I did Goofy a couple of years ago - does that count? My longest race has been a half marathon. Would like to improve my times before I look at going up in distance. Awesome giveaway! The furthest distance I've raced is a full Ironman...140.6 miles! I also follow Oiselle on twitter! I completed one marathon, that was my farthest race. My farthest race so far is 13.1 miles!! I am following Oiselle on Twitter! My longest distance so far is a 10k but my first half marathon is this coming Saturday! I've run three half marathons! I follow you on twitter (I'm @BreatheBlog)!! Endorphin Warrior Bracelet - Winner!